As the name implies, level term life insurance is a type of life insurance that is guaranteed for a certain amount of time (term) and the death benefit stays level. Meaning, it does not decrease over time. For example, if you purchase a 20 year term life insurance policy, and you die within 20 years, your beneficiary will get the policy face amount (i.e. $50,000; $100,000; $200,000; $300,000; $500,000). If you happen to live past the 20 years (the policy term), the policy will not get paid, and you lose all the premiums paid for the twenty years. Level Term Insurance is the cheapest coverage you can get. There are other types of insurance that pay you a certain amount of money at the end of the policy term, policies like Return of Premium Life Insurance. Also, there are policies that stay in effect until you die - these are called whole life insurance policies, and they can be very expensive. Purchasing term life insurance online has many benefits, like the ability to compare level term rates from several carriers instantly - no need to visit your local insurance agent's office. The rates that you get online will, most likely, be lower than the ones of a local agent anyway, so why even waste your time and drive. Another drawback of a local agent, is that they usually only work with one insurance company, so he/she won't be able to quote you prices from multiple carriers. The only drawback of buying life insurance online is service. Some big sites will not give you the service you need. They have too many customers, and not enough personnel. CLICK HERE FOR INSTANT TERM INSURANCE RATES! That is way it is very important to choose a online company that will work with you to obtain the best possible rates for your situation. Maybe you are a smoker, have an illness, are elderly, etc. No matter your situation, it is best to deal with someone that cares and will offer you great personalized service. We have partnered with Insurance Services to bring you a level of service and attention that will surprise you. As always, we will provide you with the best possible level term insurance quotes for your situation. 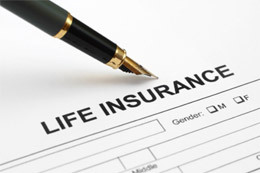 One thing that happens often when you complete an online term life insurance application form, is that you will not hear from anyone for a couple of days. This will not happen with us. We will contact you right away after you complete the quote request. Our office hours are 9AM to 9PM EST, Monday to Friday. No matter the amount of life insurance you need, $50,000; $100,000; $150,000; $200,000; $250,000; $300,000; $400,000; $500,000; $600,000; $1,000,000, or your age, 40, 45, 50, 55, 60, 70, etc. - we will quote you the best possible rates.